Show the health of your environment with the stop light report. 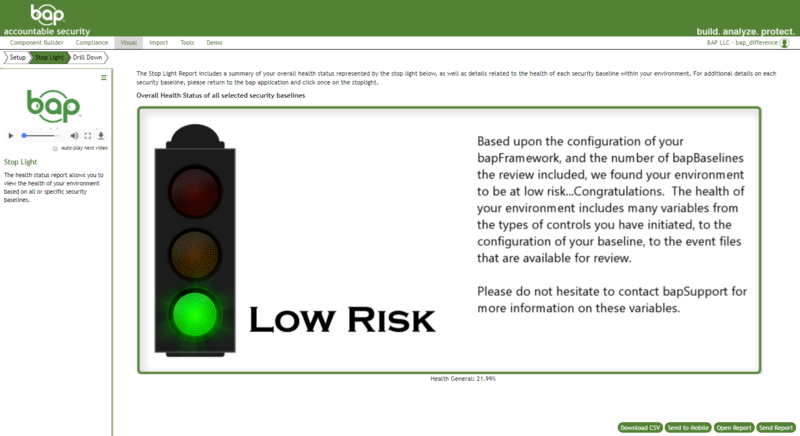 Once you select the bapBaseline, the stop light will indicate the health of your bapBaseline: a green light for low risk, yellow light for moderate risk and a red light for high risk. By selecting the light, you can drill down to additional information related to this dashboard/report. The health status report allows you to view the health of your environment based on all or specific security baselines.